Are you considering a summer garage sale? Late summer is a great time to clean house and sell off any unused or unwanted items and earn some extra cash. Many people are out and about enjoying the sunshine, meaning you have a prime market of potential shoppers. Additionally, if you have children, hosting a late summer garage will help you purge any unwanted items like old clothes and sporting gear, all while allowing you to take inventory of what you have for the coming year. 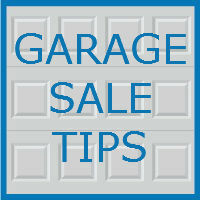 Follow our tips below to make the most out of your summertime garage sale. Garage sales do not require a ton of marketing, but a little advance notice will help draw in a larger crowd. Start by placing signs around your neighborhood. Depending on the size of your community, simple signs may be enough. If you do not have many neighbors nearby, consider putting an ad in a local newspaper or on an online community calendar. Do not forget to include the dates and times of your event, as well as a general overview of the types of items you will be selling. Consider drawing arrows on some of your signs to direct shoppers to your event. A busy garage sale can be hard to handle alone, so it is best to find help ahead of time. Try asking any neighbors to attend the sale – let them sell their unwanted items as well, and just ask that they help you manage the event. Children are also great salespeople, and you can entice them with a little share of the profit. If you want your garage sale to stand out against all the others this summer, you have to put some thought into presentation. Shoppers should be able to easily browse through all your goods. A box with crumpled clothes, for example, is unapproachable and will likely get passed over. Instead, consider hanging, stacking, or otherwise displaying your items in a way that makes them easy to shop through. Lots of books? Consider a couple of bookshelves. Also remember to place your bigger, more popular items up front, so they are the first things your customers notice. Many people drive by garage sales first to decide if they should stop or not. Catch their eye with your best items up front. Think about the ambiance of your sale. Will your shoppers be digging through boxes in the heat? That is no fun. Consider playing music and creating a fun vibe. Maybe offer food or drinks – who can say no to a cold cup of lemonade on a hot summer day? If you are hosting the sale into the evening, string up some lights to illuminate your sale as it gets darker out. We are all attached to our own possessions. We may consider an item valuable simply because we are emotionally attached to it. Remember that your shoppers are just seeing your items for the first time. Your child’s old stuffed animal may bring up many memories for you, but a stranger will only see a beat up old toy. A general rule of thumb is to price all of your items at one-half or one-third of their original price. Yes, the goal is to make money, but you do not want to overprice your items and scare away customers. After you host your successful garage sale, consider using a bit of that extra cash to show some love to your garage. If you need repairs, upgrades, or remodels done, the team at Blue Sky Builders is here to help. 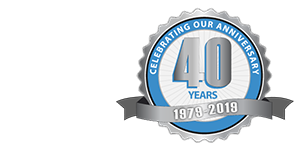 We are passionate about all things garage related and have been building quality garages in Illinois for over 30 years. Call 630-852-8485 or visit Blue Sky Builders online to learn more.